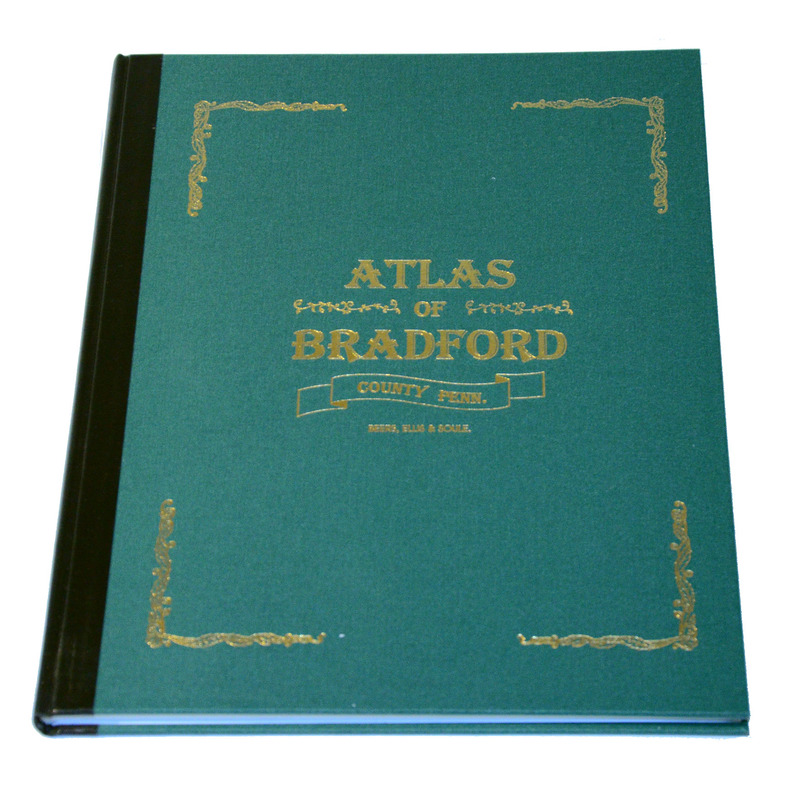 This atlas is a black & white reprint of the 1869 Atlas of Bradford County by Beers, Ellis & Soule. The name of the owner of each house is identified on the map and the names are indexed at the front of the book. Table of Air-line Distances, Bradford County, Pa. Township Maps: Albany, Armenia, Asylum, Athens, Barclay, Burlington, Canton, Columbia, Franklin, Granville, Herrick, LeRoy, Litchfield, Monroe, North Towanda, Orwell, Overton, Pike, Ridgebury, Rome, Sheshequin, Smithfield, Springfield, South Creek, Standing Stone, Terry, Towanda, Troy, Tuscarora, Ulster, Warren, Wells, West Burlington, Wilmot, Windham, Wyalusing, Wysox.